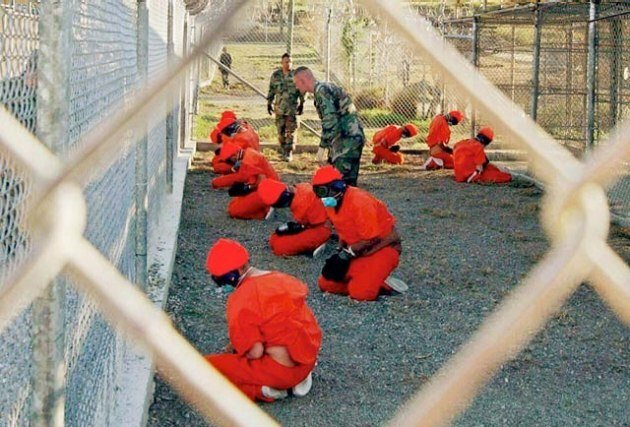 The Pentagon has announced it has sent 15 Guantanamo Bay prisoners to the United Arab Emirates (UAE). This is the largest single transfer during President Barack Obama’s administration. According to the Pentagon, the transfer of 12 Yemeni nationals and three Afghans brings the total number of prisoners down to 61 at the US facility in Cuba. The released prisoners had been held without charge, some for over 14 years. President Barack Obama wants to close the Guantanamo Bay prison before he leaves office. The White House also wants to transfer the remaining detainees to the US – but has been blocked by Congress. Barack Obama believes Guantanamo Bay fuels the recruitment of jihadists and creates stronger anti-US feelings. In April, nine Yemeni prisoners were sent to Saudi Arabia. The Guantanamo Bay prison is located on an American naval base in south-eastern Cuba. Ex-President George W. Bush opened the jail in January 2002 to accommodate foreign terror suspects after the 9/11 attacks. The facility, which costs $445 million to run annually, one point held more than 700 detainees. In February 2016, the White House presented a plan to Congress to close the camp. However, many Republicans remain strongly opposed to bringing prisoners to the US, saying they are extremely dangerous and do not belong in civilian prisons. Most of the inmates freed from Guantanamo Bay – a total of 532 – were released under the previous administration of George W. Bush. The office of the director of national intelligence says 21% of those went on to re-engage in militant activities, while of those released under President Barack Obama only 5% have done so. Donald Trump has vowed to keep the Guantanamo Bay facility open, saying he will fill it with “bad dudes” and “bring back a hell of a lot worse than water boarding”, referring to the controversial interrogation technique human rights activists regard as torture.